VITEC, a worldwide leader in advanced video encoding and streaming solutions, today unveiled the MGW Ace Encoder firmware v2.0, the next generation of the industry's first entirely portable, award-winning, hardware-based HEVC encoder. Powered by the new HEVC GEN2 codec, the MGW Ace Encoder provides the industry's best HEVC video quality of up to 4:2:2 10-bits HEVC encoding and surpasses the second-best competitor by 20 percent to meet the quality requirements of demanding broadcast applications. Along with delivering pristine broadcast-quality video streams and ultra-low latency – down to 160 ms glass to glass when paired with the MGW Ace Decoder – version 2.0 features a new interface that allows users to enhance video streams with several pre-configured profiles to match their application. 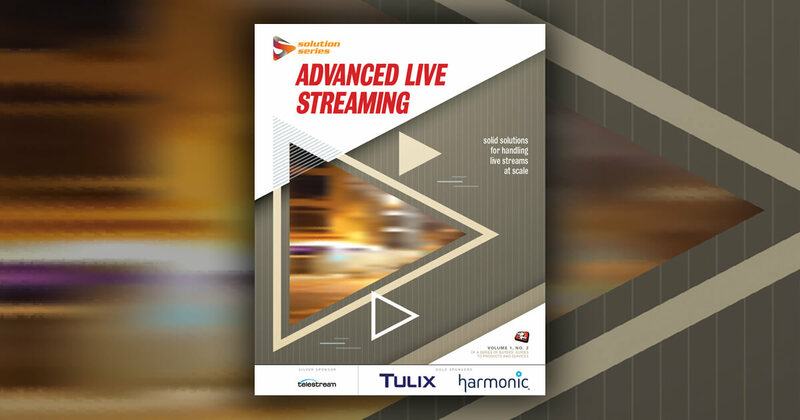 This intuitive approach ensures that the MGW Ace Encoder can easily be set up to deliver the best streaming performance for any application. In addition, the new MGW Ace Encoder features enhanced downscaling encoding resolutions and frame rate down sampling for a perfect match of stream quality based on the available bandwidth; HEVC-compliant KLV support with the latest MISB standards (JITC compliant) to ensure stream compliance within a Full Motion Video environment; and a Zixi(TM) Statistic window for an optimal point-to-point streaming configuration. "VITEC is thrilled to deliver the highest HEVC video quality on the market with its compact, portable, and easy-to-use second-generation MGW Ace Encoder firmware. This release is a major milestone to VITEC's support of the HEVC standard, and this is only the beginning," said Richard Bernard, product manager at VITEC. "Any MGW Ace Encoder on the market can be updated, showing our customer base VITEC's dedication to building high-quality, future-proof, field-upgradable hardware." VITEC's MGW Ace Encoder firmware v2.0 is available starting at IBC2017. Find more information on VITEC's full line of products at www.vitec.com.